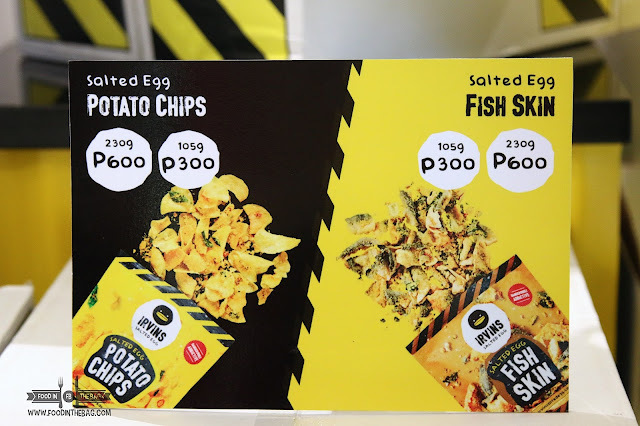 One of the amazing gifts that SINGAPORE has given to the Filipino foodie community would have to be the SALTED EGG POTATO CHIPS. Granted that some would say that there are others that came first or are better, you can't deny how popular it has been. It even came to a point that people have been reselling these delicious and addictive chips at higher prices. Plus based on experience, this is part of the usual care package of tourists and even balikbayans for their love ones here in the Philippines. 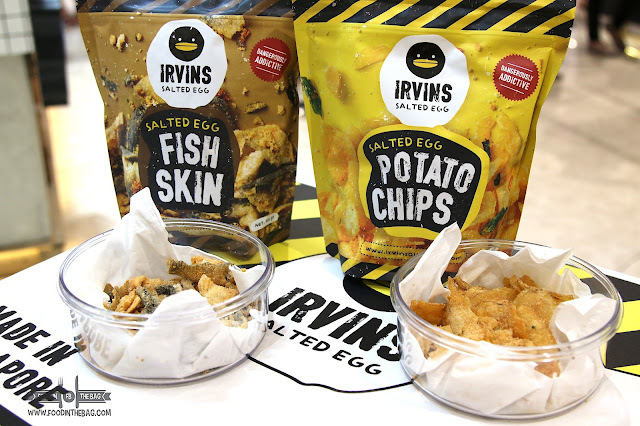 Thankfully IRVINS SALTED EGG has finally landed in METRO MANILA. 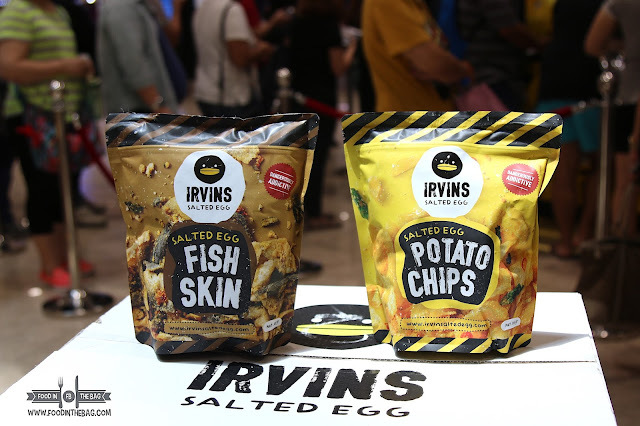 Located on the ground floor of SM MEGA FASHION HALL, IRVINS SALTED EGG opened up a permanent kiosk to cater to the growing needs and wants of the Filipino Foodie. 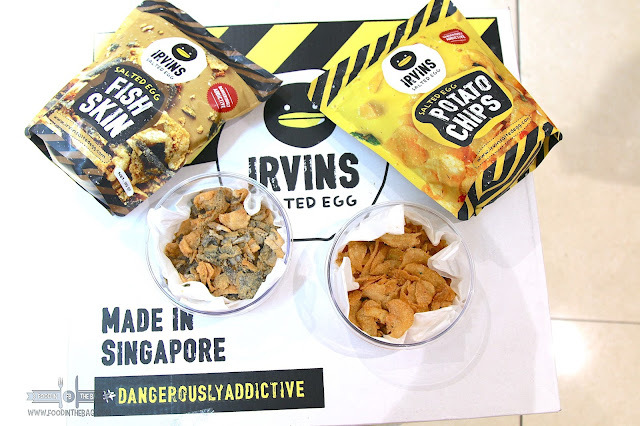 Considered as the golden standard when it comes to SALTED EGG CHIPS, IRVINS can't be denied of its luring power. 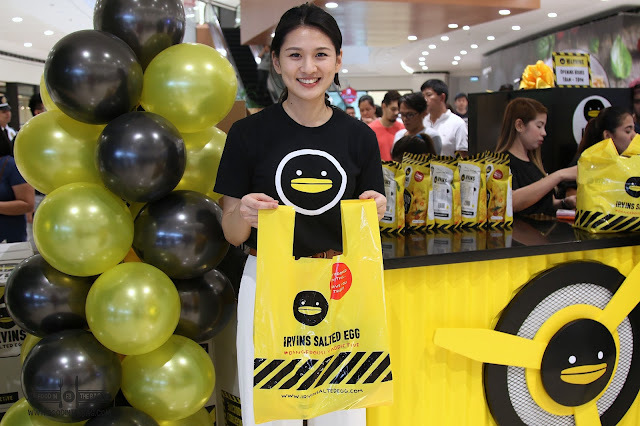 On AUGUST 11, it has attracted hundreds of patrons to its first ever Philippine store. Even before the mall opened, a long queue has formed up in front of the mall entrance. Serving its best sellers, you could have a problem picking between the two. One might go for the potato chips or for the fish skins. It all boils down to preference. No need to worry as each one is allowed to buy a maximum of 5 bags per day. As such, you are assured of being able to get your fair share. The chips are priced at 300 Php and 600 Php depending on its size. 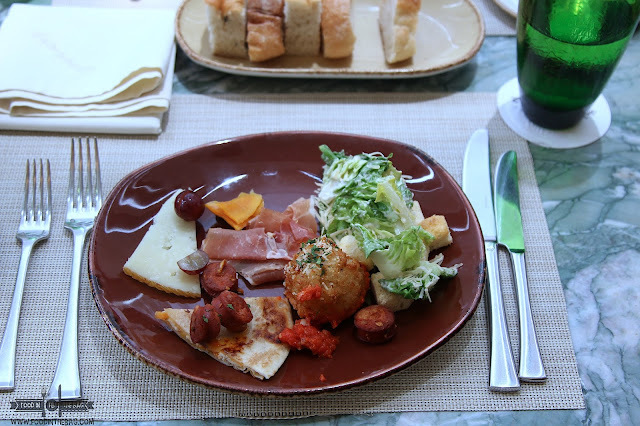 For now, these delicious bundles of joy are shipped in from Singapore. 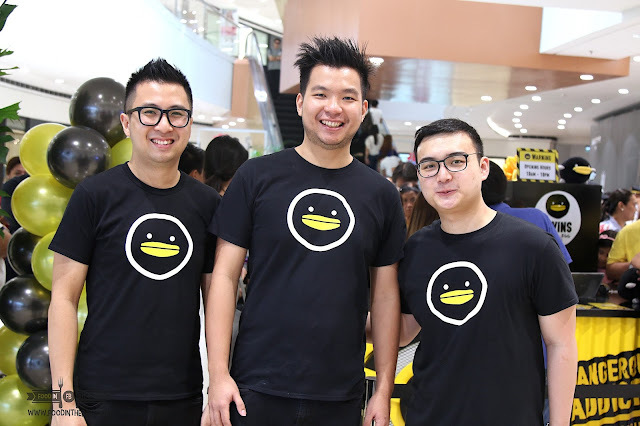 According to IRVIN, they saw the demand that their chips have with the Filipino community in Singapore. That's one of the reasons why they brought it here. Furthermore, they plan to open up a stand alone branch somewhere in the metro. I can't wait for that.